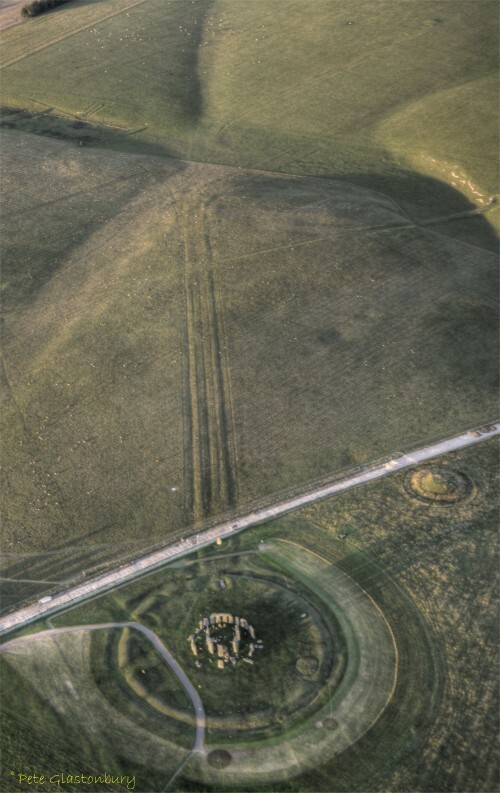 The image below, taken in August 2013 and courtesy of Pete Glastonbury, clearly shows the section of the Avenue north of the monument aligned with the summer solstice sunrise. Also visible in this image is the easterly turn of the Avenue. Last summer I guided an American friend and her family around the Stonehenge landscape and we walked the section of the Avenue visible above. 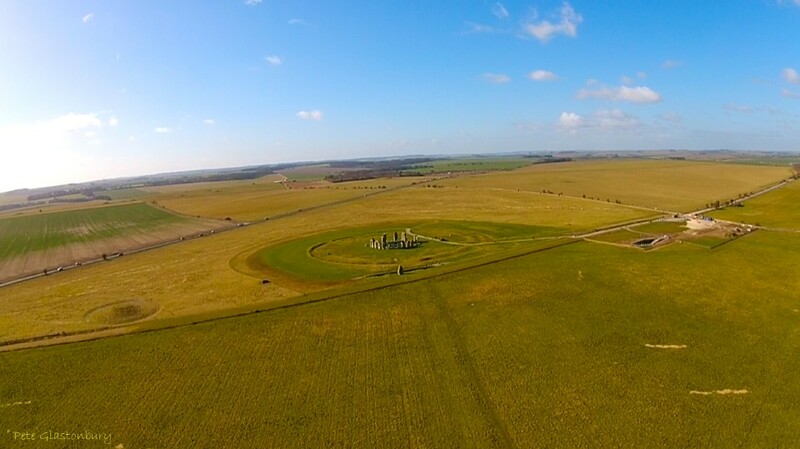 There are two distinct areas where walking at ground level due to the shape of the landscape, Stonehenge itself is rendered temporarily invisible, to become completely visible again a number of paces later. 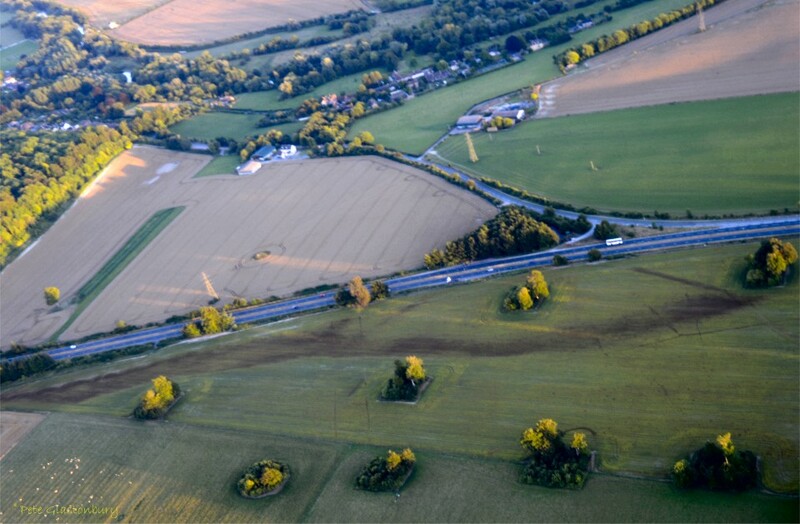 The photograph above was taken by Pete Glastonbury in August 2013, and reveals a little seen part of the Stonehenge Avenue. It shows up in this field of flax as two parallel lines running towards the A303 road. There is no sign of the Avenue further south in the wheat field as it runs across the field towards West Amesbury House, terminating at the West Amesbury Henge by the River Avon. 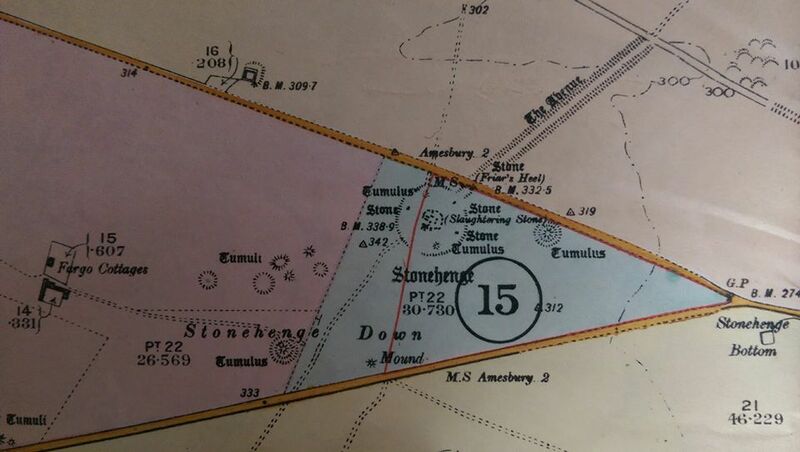 The photograph below is a 1915 map of the section of the avenue running north east of Stonehenge aligned with the summer solstice sunrise. Thank you Pete Glastonbury for the photographs. 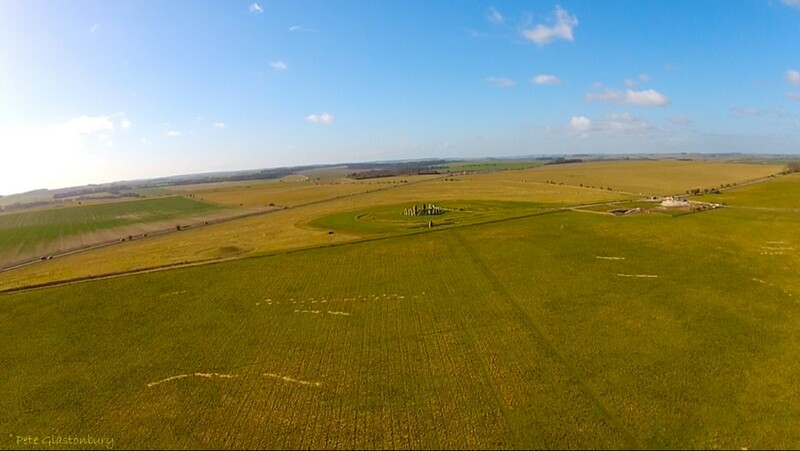 Stonehenge Avenue from NE of Stonehenge .